OpenmindProjects of Southeast Asia: "Learning for Life, Nature and Future"
Home > OpenmindProjects of Southeast Asia: "Learning for Life, Nature and Future"
OpenmindProjects (OMP ) conceived in 2001 from an idea to bring Information and Communication Technology (ICT) to where it was most needed advances its objectives with the help of new technology. OpenmindProjects (OMP ) conceived in 2001 from an idea to bring Information and Communication Technology (ICT) to where it was most needed advances its objectives with the help of new technology. 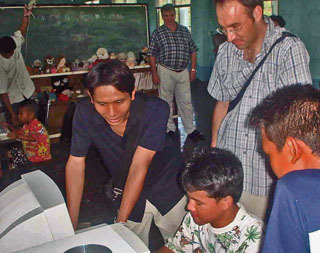 Sven Mauleon now fellow director of OMP, founded OMP in 2001 while he was searching for a way to bring IT learning to the often neglected rural areas of Thailand where the Digital Divide is acute. It was started in Nong Khai in the North East, one of the poorest regions in Thailand. The organization began with three pilot projects and has grown to encompass 60 educational and eco-projects in four countries, Thailand, Laos, Cambodia and Nepal. OpenmindProjects’ aim is to spread learning opportunities to the many underprivileged in SE Asia by promoting self-paced learning, computer and Internet- based learning, with the help of local teachers and international volunteers. Knowledge is the key to bridge the gap for marginalised communities. Increased knowledge of technology, together with environmental understanding, will equip villagers to improve their lives and those of their families, which will, in turn, lead to a better society and a more sustainable future. In OMP’s areas of operation are the overlooked rural areas outside of the main urban towns where many of NGO and volunteer organisations concentrate their efforts. OpenmindProjects of Southeast Asia has developed a new site using Web 2.0 technology, http://www.openmindprojects.net/, to bring volunteers, teachers and students closer together in an online social network community where ideas, discussions, lesson plans and pictures can be shared. The aim of OMP projects and the countries in which they serve is to use the minimal resources to achieve the maximum effect and promote sustainable development. This means empowering local people with the right ICT and English skills to carry on the work after volunteers have left. How does a boy from a small village in the disadvantaged north east of Thailand come to co-run an international volunteer organisation? The boy is Thaweesilp Lunchaiyapha (Toto) and the organisation is OpenmindProjects (OMP). Toto was identified by Sven. To Sven Mauleon, who is a successful management consultant, having a team that was locally based was very important. During his time in several countries including Hungary, Poland, and Russia he had learnt that working through a local partner knew the culture and could offer insights on how to approach different situations was the best way to get things done. In Thailand, he found Thaweesilp (Toto) Lunchaiyapha who came to fill this role. Toto is not only the Information Technology (IT) manager but is now also the national coordinator of projects. He provides the interface between OMP and the people who are involved in the projects, dealing with issues that arise. In addition, he acts as an important role model for the kids from backgrounds similar to his own. His story of his involvement with Openminds is at the end of this article. To go abroad and work in a factory or farm as cheap guest labour, often under harsh conditions. Many young and poor Thais, Lao, Khmer and Nepali go to Taiwan, Israel, Korea, and the Emirates etc. Cheap labour is a major export item for Thailand, the Philippines, Nepal and also very profitable for the often corrupt agents arranging the work abroad. They go to work in factories in the industrialised or tourism areas of their countries. The tourism industry in Thailand would find it very difficult without the cheap labour supply from the Northeast, Isan region. Families and their daughters also see marrying a foreigner as a way out of the poverty trap, very common in Thailand, especially Isan. Young people need better education opportunities, the most important step to get out of poverty and inadequate education trap. For example, Toto says his family was not keen on his choice of working with OMP. His mother wanted him to go abroad like his brother to earn money for the family. They could not understand why he was choosing what they saw as an unexplored path with an uncertain future. Toto however wanted to learn, particularly about computers and to learn English. He saw the opportunity OMP offered as the one he had been waiting for. The programme was purposefully designed to be done outside of school in an informal environment. CDs, DVDs and the Internet were the tools from which to learn. The learning philosophy was and still is very simple: “People learn best themselves when they are motivated and have the necessary learning tools rather than being forced to learn. It’s the D.E.D. principle; you Demonstrate, let them Explore and then Discover answers themselves.” In this regard, Toto became the “Elder brother” sitting with the children after school and in the evenings demonstrating, playing and having fun. As they learned about computers they began to learn English. At first, this was done at a home for boys and then a home for girls and in the small kitchen area in Toto’s village. News of how the children were learning began to spread to other villages. OPM was invited by schools to start its program for them. People began to volunteer to come to the area to help. Sven and Toto realised that having the help of volunteers was going to be the best way to enable them to provide their program. A local Thai team was created to handle the organisation. Some volunteers started to come from OMP’s own projects demonstrating the effectiveness of its strategy. Attracting volunteers via the Internet, website, community, newsletters, social networking and testimonials. Establishing local headquarters in the countries where volunteers serve which allows for lower overhead and operating costs than if the organization bases were in other countries. Recruiting and training local staff and trainees, mainly from their own projects, allowing for lower staff costs while at the same time giving local people career training opportunities. Promoting the program to volunteers’ friends, schools, universities etc. when back home. Training local people to provide the services to volunteers and local beneficiaries. 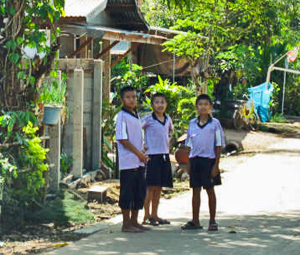 Link IT based and other learning initiatives across Southeast Asia and encourage and facilitate networking between rural Thai schools, children and teachers, international volunteers, schools from where volunteers come and OpenmindProjects. OMP serves as a virtual hub. Provide training, support and technical assistance for schools, national parks, villages, particularly grassroots, in Thailand and Southeast Asia. Offer capacity and development support for sustainable community based eco tourism projects linked with conservation. Offer capacity and development support for education projects that are linked with IT, English and environment. Serve as an educational resource centre for the local schools and other projects as well as international volunteers in Southeast Asia. Conduct on-the-ground sustainable and community based eco-tourism and conservation projects. Eighty percent of the population of Ban Kham Pia consists of farmers. It has maintained much of its original character due to its isolation and lack of people moving into or out of the village. Volunteers first arrived to teach English. It was soon established and accepted by the villagers that promotion of responsible eco-tourism was a way villagers could increase their income. 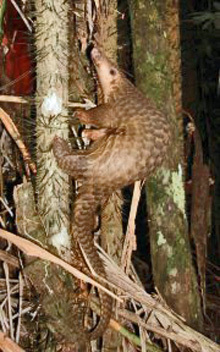 The village could serve as a base for the Phu Wua Wildlife Sanctuary, thereby conserving nature and making money at the same time. 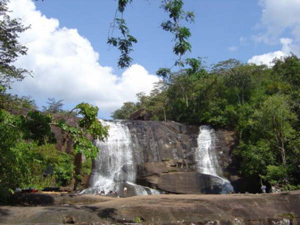 The Phu Wua Wildlife Sanctuary is part of Thailand's National Park system and approximately a day's travel northeast of Khao Yai National Park. A number of elements had to be put into place. English signs were made and the women were trained in hospitality to become hostesses for “home stay” visitors. In order to attract visitors, a website was created http://thailandwildelephanttrekking.com/ as well as a video (which was posted on different websites (like http://www.lonelyplanet.tv/), posters and brochures. 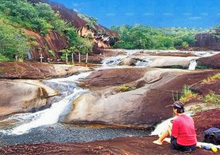 The major attraction for many tourists in Phu Wua is the herd of wild elephants in the sanctuary which can be seen from observation platforms built in the trees. They can be seen in a video posted on the Web. 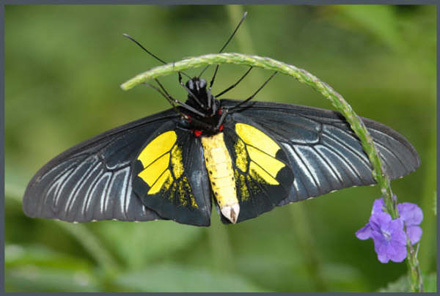 Malayan sun bears, leopard cats, golden cats, samba deer, gaur, Phu Wua lizards, anteaters and butterflies of every colour of the rainbow including the golden birdwing with a wingspan of 12-19 cm also live in Phu Wua. OpenmindProjects is about the transfer of knowledge from volunteers to local organisations and individuals. Ideally, volunteers and local individuals should speak the same language. The next best thing to this is using English as the common means of communication. To this end, OpenmindProjects is associated with the development of an e-learning English language computer program that in practise will put a native English speaker in every home or classroom that has a computer facility. The program is making use of modern synthesized 'computer speak' and voice recognition technologies. This is English teaching with a difference. In effect, the PET will be your English teacher. You will speak to your "Pet," and, if it understands you, it will answer you in easy-to-understand English. In writing mode, it will even tell you if your spelling is correct. It will be useful for beginners and for advanced learners, and it is designed for self-study as well as in a class-room setting. Demonstration of some test programs are given on our OMP Web page. CNN: Be your own change: OMP was chosen as one of only nine organisations for their initiative to “make a positive impact on the world” said CNN. UNESCO: SchoolNet Project: Recognition for its initiatives to introduce ICT into schools. WWF: National Parks: Partner with WWF, teaching National Park Wardens and local villages in Thailand’s largest national Park, Kaeng Krachan and in Xe Pian, South Laos. All of the income derived from this project goes to the village and local people. By coming here you are providing them with a new livelihood and a better standard of living. You are also helping to protect the wildlife and local environment by showing the people that it is to their advantage to make an income from tourism rather from killing wildlife and exploiting the environment. You will stay in existing local accommodation rather than consuming valuable resources to build hotels. So as well as enjoying yourself thoroughly, you will be doing a good thing for the people and the sanctuary. Print the online brochure and show it to your friends. I want to tell my story to show people that, although it can be difficult to get out of poverty in rural Thailand, there are now a lot more possibilities for people who have access to ICT training. It is possible to break the cycle of poverty. At the time, I was quite unmotivated and didn’t know what I wanted to do with my life. 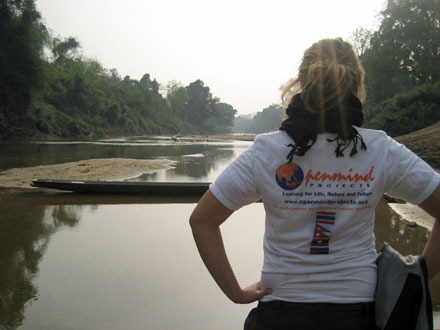 I first started work with Openmind Projects as a part-time volunteer when I was 18 years old. So I was really lucky to get a job with Openmind. Now, seven years later, I am the Joint Partner and IT Manager for the organisation and help Sven with new ideas and all the major decisions. I love my job and feel very grateful that I had this opportunity. I come from a very poor rural farming village in the Isaan region of Thailand. We only got electricity when I was nine years old: of course, now everyone has televisions. There is a real lack of good education in our area and not many chances for work, so now most people over the age of 18 go abroad to work in factories so they can save and send money home. My father went to work in a Construction in Singapore when I was eight years old. He wanted to improve the family economy and it meant that we were able to buy land and build a house. My older brother and sister also had to go and work abroad to help pay for our education. Once my brother was promised work in America by a ‘labour agent’ and to pay the deposit, my mother had to sell my closed friend (a buffalo that I grownup with it.) The agent then disappeared and my parents were drooped and didn’t know what to do. My brother went to another labour agent and found a job offer to work in Israel. But my parents had to borrow a lot of money and use our farm as collateral to pay the agent to arrange a job for him. He worked on a vegetables farm that uses a lot of chemicals and developed some health problems as a result. We never saw him for two years; just received letters and money via post mail. Unfortunately, the money he made was not enough to cover the loan. We almost lost our farm – luckily Sven lent us the money so we could stay. My brother now works in a factory in Korea. Thanks to the ICT technology which is getting better and cheaper day by day, we’re able to communicate via internet and chat on Skype. I went to the local village school but I wasn’t a good student. I didn’t enjoy studying and didn’t understand then why learning was important. The only thing that motivated me was the thought that I didn’t want to end up working on the farm or having to go abroad and work in a factory, but I had not really thought much more about the future. After secondary school, I got a scholarship to a government college, with the help of my teacher who knew someone who worked there. So, luckily I didn’t have to take the entrance test. I studied Agriculture and Technology but didn’t like the course, “The way of Teaching”, and failed many subjects. The only lessons I enjoyed were English and Computers. After college, my family told me I’d have to go work abroad as they didn’t have enough money for me to study any more. I didn’t want to do this. So, instead, I worked in several different jobs, in a restaurant and Clubs, and used the money to pay for a part-time computer course in Udonthani. It was there that Sven approached me and asked if I would be interested in doing some voluntary work for his organisation. In those days, Openmind was a very small charity that specialised in computer training projects for schools in the Isaan region of Thailand – they hadn’t started taking on volunteers from other countries. Sven couldn’t afford to pay me at first but promised me some good experience. I didn’t know what would happen for the future but I decided to take a chance and try it. I was able to live on-site at Openmind so I didn’t have to pay for a place to stay. During this time, I had to spend two years in the Navy so it was helpful that I could work for Openmind on a part-time basis. I also used my computer skills to help in the Naval office and so avoided the usual kind of training. At first, my parents didn’t understand what I was doing at Openmind. They weren’t happy that I wasn’t making any money and tried to make me to go and work abroad. Now they understand and are very proud of me for achieving what I have. Working as a volunteer for Openmind turned out to be my best ever decision! I love my job as it gives me the chance to work with many different volunteers from all over the world and learn about different cultures, as well as improve my English. It is very interesting and has changed me - my attitude about life and people. Everything I have learnt is from my own experience. I feel that I know a lot more than my friends now, even the ones who have been to university. I’ve been interested in computers ever since my secondary school bought one. We were never allowed to use it, though, as the teachers didn’t know how to work it, so it was mostly kept locked up - but that didn’t stop me being curious! For me, computers are like living objects, they are so smart, they can do many things. The Internet is amazing – it makes me want to know more about what’s out there – you can learn so much and communicate with people from all over the world. Last year, my mother came to visit me in Nong Khai and was able to Video chat (Skype) with her son in Korea. It’s the first time that she has seen his face in two and a half years – she cried a lot. Computers make life much easier. I love helping my people and teaching them about computers, how they can learn by themselves through computers and the Internet, and about the opportunities available to them. I want everyone to have the same chance as me - that’s why I’m here. Nature is also important to me I like to listen to my grandma telling me about forest and wildlife in the old days. So I really enjoy the eco-tourism work that Openmind does. A lot of the wildlife in the villages and national parks in Thailand is threatened or extinct because of people’s lack of knowledge of how to live in and respect nature. In the past, people were only concerned with fulfilling their basic needs for food and survival – they didn’t give much thought to what they ate or to what might happen in the future. But don’t blame them on this because we all need to fill our basics need. I’d like for Openmind to get more financial support so we can afford to support more development projects such as Community base Eco-tourism, wildlife conservation, Team Teaching and ICT for Development (ICT4D). One day, I’d also like to find time to do more ICT training myself as I was doing before. But, in general, I’m happy because I’m doing what I like, I have achieved what I wanted and I know what I want for the future. The message I want to send to people is that, even if you are born in rural Thailand, you don’t always have to study in college or university, you don’t always have to be a good student, to have a successful future. There are many other options besides farm, factory or restaurant/bar work. Many people I know make excuses about why they can’t achieve what they want “it’s only possible to get a good job if you have a good education or your family has money” but I’ve proved that that’s not true. It is still possible. Young people also often think “I’ll never get anywhere in life so why should I bother to study?” but you always have a choice in what you do. There are opportunities all around us - you just have to look for and take them. I think free ICT training should be available to everyone – it would make such a difference. With ICT, people have access to the whole world and many different cultures and experiences, so you can learn as much as you want. With computers and Internet you can learn languages and new skills (such as computer programming and web design), research job opportunities, communicate with people from all over the world and get a better understanding of the possibilities available to you. I believe that Motivation, Education and Knowledge are the keys to a better future. And ICT is the most efficient tool that people can use to educate themselves. With the help of ICT, it IS possible to break out of the cycle of poverty.